YANTRA = the mandala like visual art from India which, in fact, are created to depict particular sonic wave forms. YANTRA TANTRA then, is the title chosen by Z’EV to refer to particular sonic events where the intent is about triggering a transformative experience rather than simply producing musical enjoyment. These events occur in the complete dark with the participants lying on mats. Their purpose is to produce a synaesthetic experience in the listener, that is, the audio becomes visual and people are seeing what they are hearing. The visuals are produced by what is known as phosphene activity. For example, most people see colors or geometric patterns (pressure phosphenes) when they close their eyes and press against their eyeballs. So when placed in absolute darkness and presented with an encompassing sonic environment, this sensory input begins to drive one’s phonsphene activity. And being in the dark, when one opens one’s eyes, one perceives the visuals as being ‘outside’ ones self. People report a variety of psychic / emotional experiences focused through a range of visualizations that match descriptions of light visions in the ancient Vedic scriptures and in yoga meditation texts of the Hindu and Tibetan Buddhist traditions. These range from abstract firework-like flashings to geometric imagery to cartoon-like animations to visions that are as representational as if they were a dream or guided meditation. Z’EV is an American conceptual artist, sound sculptor and poet. After studying various world music traditions at The California Institute of the Arts, he began developing a wide range of concussive and percussive instruments, sound sculptures and assemblages devoted to the production of acoustic phenomena as the basis for subsequent solo work. Z’EV abandoned Judaism at an early age and began his lifelong relationship with world religions and esoteric systems. His work with text and sound has been influenced by Kabbalah, as well as African, Afro-Caribbean and Indonesian music and culture. 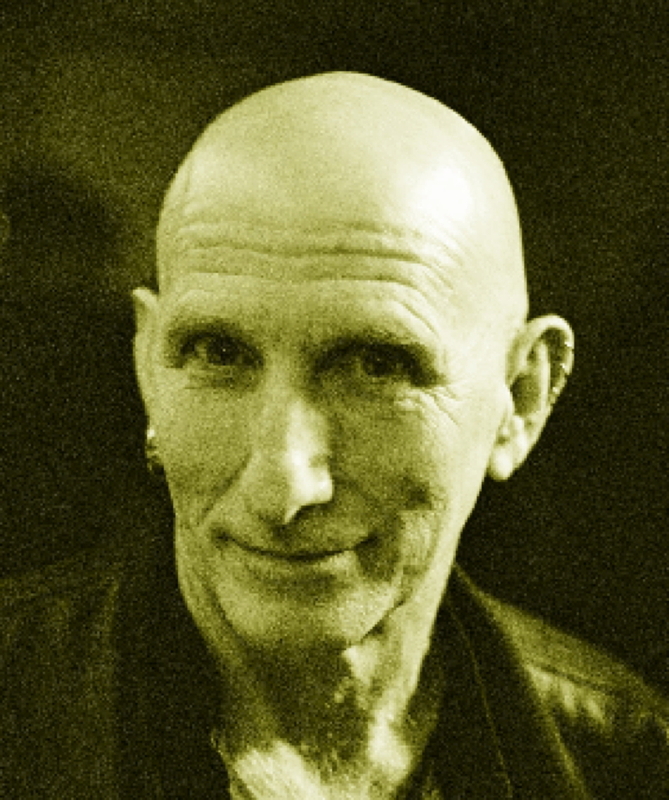 Z’EV is regarded as one of the founders of industrial music.